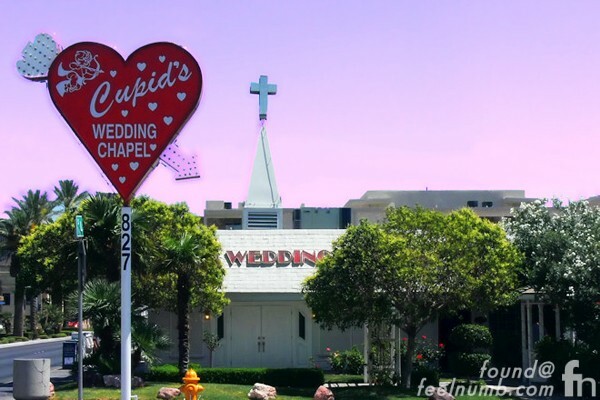 The tumultuous couple were married at the Cupid’s Inn Chapel in Las Vegas, Nevada after 4 years of dating. 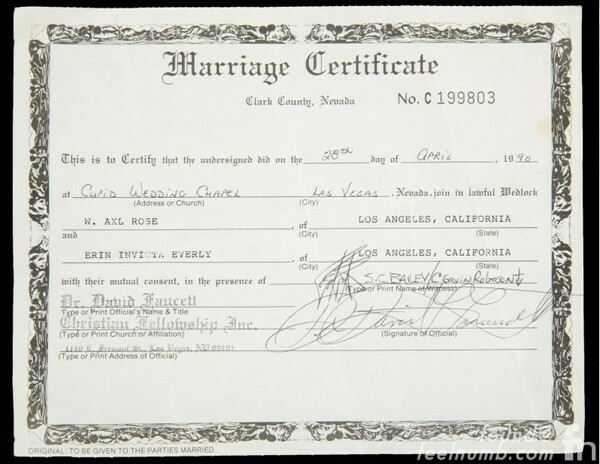 The wedding photo along with a video, the marriage certificate (sold for $4,480.00), love letters and lots of other Axl Rose related memorabilia were sent to Julien’s Auctions by Everly in 2013. Here’s are some screenshots of the 3:00 minute wedding video that sold for $1,920.00. 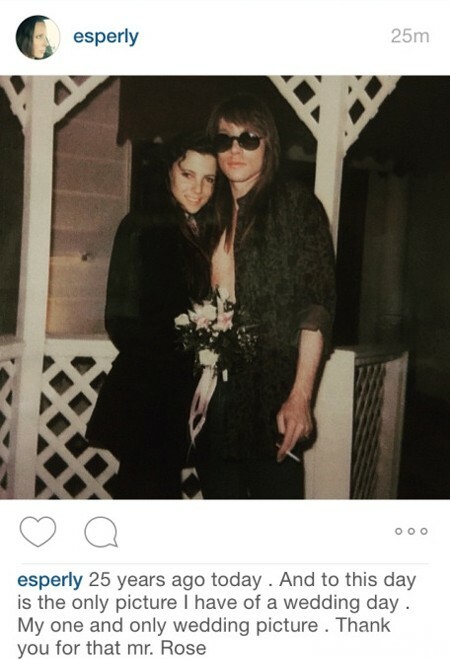 Axl filed for divorce shortly after the marriage and it was officially annulled in January 1991. After all these years it seems that Everly has finally forgiven Axl and actually seems a bit smitten about him and her past. 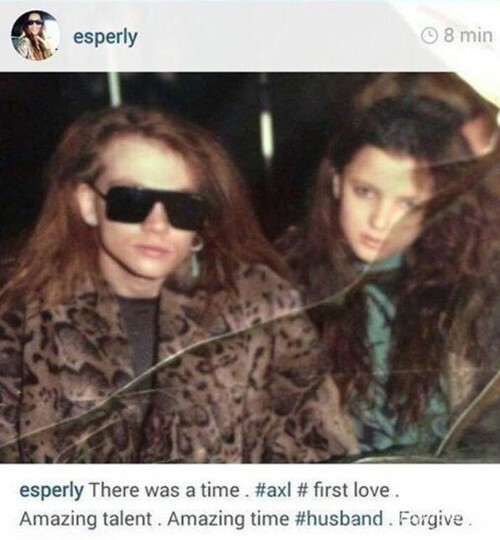 She also recently posted this photo of her and her ex using the hashtags #axl #firstlove & #husband.